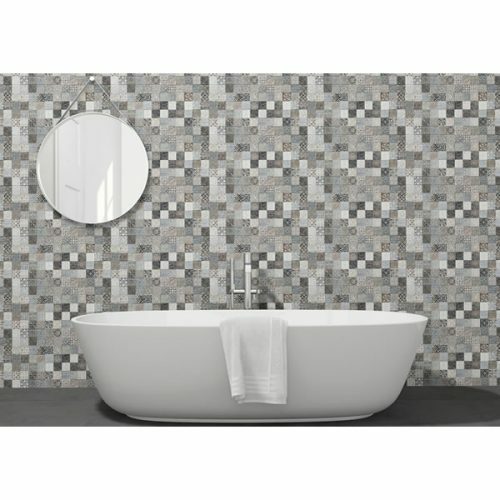 The Deco LYS Gris tile is a refined looking feature tile that is perfect for bathrooms. It features a decorative design comprising of multiple mosaic-like blocks in varying tones of grey. 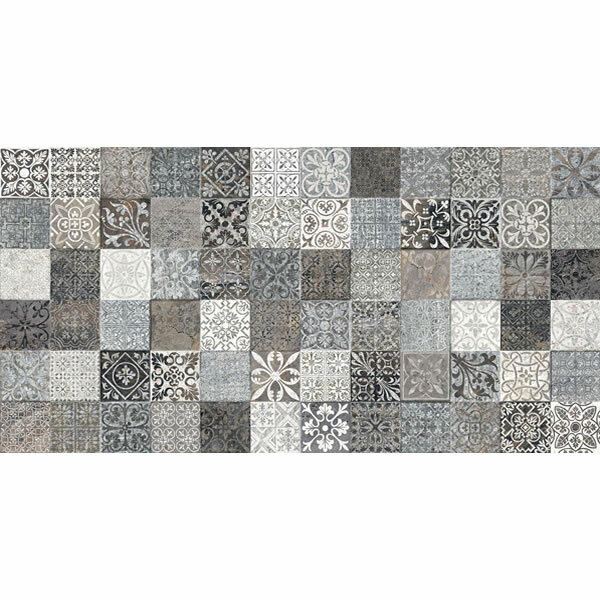 The Deco LYS Gris feature tile measures 320x625mm in dimensions and is sold per piece. It is suitable for use in indoor applications both as a floor tile and as a wall tile. Experience the perfect blend of style and versatility with this feature bathroom tile. Thanks to special manufacturing, the Deco LYS Gris can be used in high foot traffic areas as well as wet areas, making it perfect for use in showers. It is rated as R9 for the Oil-Wet Inclining Platform Test and as P2 for the Wet Pendulum Test. 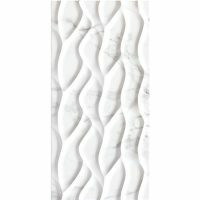 This attractive feature tile exhibits all the qualities of a superior grade product. It is manufactured to the best of standards and is exceptionally durable. Rest assured that the Deco LYS Gris offers great value for money. 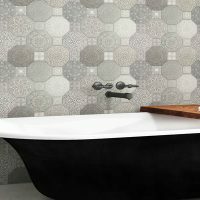 Give your bathroom a stunning makeover with the Deco LYS Gris feature tile available at Ross’s Discount Home Centre in Perth. 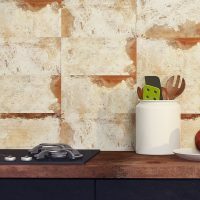 Shop online to purchase this tile at the lowest price and take avail of free Perth Metro shipping!